Since ALT Valeting starting operating in Swindon and Wiltshire we have valeted and washed vehicles of all manor of shapes and sizes at both our Swindon base in Wiltshire and even at your premises using our mobile valet services, all at the highest quality. Many of Swindon's larger companies and prestigious car dealers have been using our services for over 23 years. This is testimony to the quality and reliability of the business. Not only is cleaning your car time consuming but it can also be hard work and tiring. ALT Valeting will take care of it for you. We clean your car both inside and out to make it look great. If you can't find the time outside of work to take your car to the car wash then don't worry as our mobile valet service can come to you. 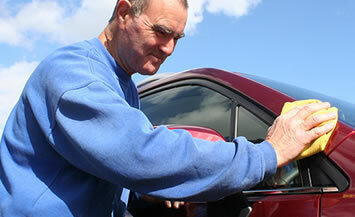 Our qualified valeters are fully insured and fully trained to move and work on your vehicle. So if you would like to keep your car looking as good as new then call our team of qualified professionals ALT Valeting Ltd on 07564430605 for car washing or for car valeting. If you are a commercial customer or your family own a lot of vehicles then remember we can offer discounts on regular bookings or on multiple vehicle valeting. We can be found on the Blackworth Industrial Estate, Highworth, on the A361 to Lechlade.